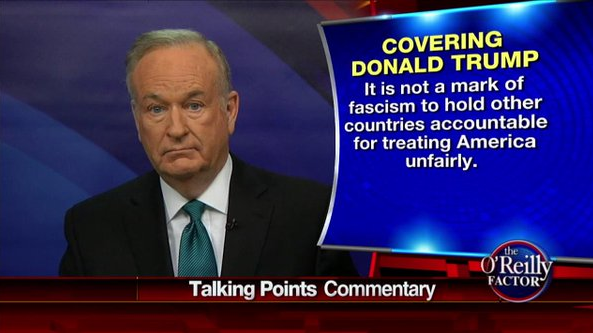 The actions Friday night clearly were left-wing fascism, I'm really saddened by Republicans who want to blame Trump. Donald Trump wasn't the reason, as you point out -- Condi Rice got cancelled, Ayan Hirsi Ali was canceled on campus. You have this entire movement of fascism which is saying, if you don't agree with me I'm going to shut up your right to speak, I'm going to intimidate you, bully you. And they are terrified of Donald Trump because he seems to be strong enough and dynamic enough to take them head on. But it is worse than that in the news media. You have on MSNBC for example, Rachel Maddow saying that for Donald Trump to go to Chicago, St. Louis, Cleveland, is provocative because of racial incidents that have occurred in those cities. Imagine an American television person saying that a presidential candidate shouldn't go to Chicago, Cleveland, or St. Louis. This is madness. The sources of confusion and chaos are left-wing fascists who want to impose their way of life on us, they want to impose their values on us. Remember, the first really big test case was Scott Walker as Governor of Wisconsin, who had a key moment when he had thousands of people in the capitol... occupying the state capitol. They had lost the election fair and square, for governor, for state reps, for the senate, and their reaction was to take it to the streets and try to browbeat the governor. I think if you see Trump win or Cruz win, if either one goes to Washington and brings real reform, you're going to see these kinds of militants go out and do everything they can in the streets to try to stop what they're losing at the ballot box. Imagine that. Thousands of conservatives converged on town hall meetings to shut down speech and deny their representatives the ability to "have an intelligent debate." And if you've forgotten how all those people got their instructions and information, there were many industry groups coordinating them, one of which was called "Conservatives for Patients Rights", run by Rick Scott, at the time a disgraced hospital executive and now the governor of Florida. This is not to say that Republicans were not genuinely upset that people might get affordable health care. The mere idea of it turned them into ravening beasts. For instance this famous exchange outside of a town hall in Columbus, Ohio, in which "protesters" harass and humiliate a man with Parkinson's disease, screaming "no more handouts!" Inside the halls, they shouted down their senators and representatives, laughed at people whose children had died for lack of health care and otherwise behaved like animals. And they engaged in tactics far more intimidating than anything the Black Lives Matter protesters have done: some of them showed up to the town halls armed, at least one carrying a placard saying "it is time to water the tree of liberty!" (a reference to the Thomas Jefferson quote "the tree of liberty must be refreshed from time to time with the blood of patriots and tyrants"). That practice has become much more common in recent years, being used against gun regulation groups like Moms Demand Action and at various Muslim gatherings and well as the armed "protests" like the Bundy standoff and the recent events in Oregon. And there is that small matter of decades of right-wing harassment and violence at abortion clinics. Just three months ago a right wing anti-abortion terrorist killed three people in Colorado Springs. When asked about the children of Swasey, Markovsky, and Stewart – parents to two children, each – Dear said he would not say anything to them. The right has a hell of nerve calling protesters at Donald Trump's rallies "militants" when actual killers confidently spout conservative propaganda to justify their depraved acts. It's highly doubtful that anyone but Republicans will be roaming the floor of the GOP convention, so if any riots break out even Newt Gingrich won't be able to rationalize it as a liberal plot. 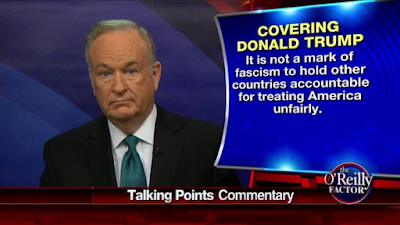 It should be obvious to anyone that "left wing fascists" really don't care if the Republicans treat Donald Trump unfairly. If it happens will be led by the same right-wingers who are cheering wildly for Trump's violent authoritarianism at his rallies. And they'll have no one to blame but themselves.